Will the Pine Kitchen CO Defrosting Tray really defrost food in 12 minutes? Smart Shopper tests the Defrost Tray to see if it works. I'm usually pretty good at planning dinner, but sometimes I just get overwhelmed. Sometimes you get home, you’re ready to cook, and everything is frozen. Now what? We tried a product that may be your solution. It's called the Pine Kitchen CO Defrosting Tray and it'll cost you about $16 on Amazon. It's supposed to thaw chicken, beef, and fish in less than 60 minutes. There are no plugs or attachments. So how does it work? The tray is made of a high-density aluminum alloy, and that is the secret to defrosting your food faster. So, let's see if it works! Our first test was an ice cube. Within one minute, our ice on the tray turned into a small puddle. The ice cube on the plate was still melting after three minutes. Now to the real tests: boneless chicken thighs, beef patties and fish. The infomercial shows chicken thawing in just 12 minutes, depending on thickness, of course. Ours took 45 minutes on the defrosting tray. The chicken on the plate still had frozen sections after an hour. Same results with our beef patties. After 8 minutes, I was able to stick my fork through the patty on the defrosting tray while the one of the plate was still too frozen. After 15 minutes, the patty on the defrosting tray was pretty much coming apart. By this time, I was able to stick my fork through the plated patty. And the fish... within 15 minutes our fish on the defrosting tray was completely thawed. The one we let sit on the plate took twice the time. 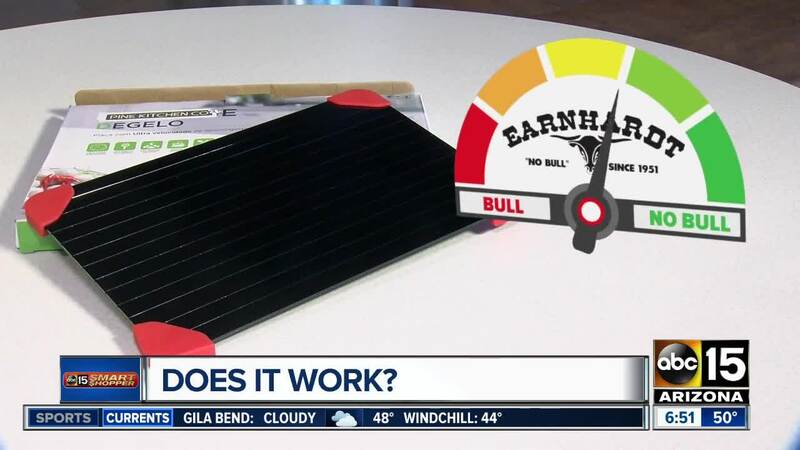 So how does the Pine Kitchen CO Defrost Tray rank on our Bull/ No Bull meter? I'm going with No Bull! Although it wasn't as fast as the infomercial, it was definitely faster than the traditional method. So, if you're uneasy about leaving food out to thaw for long periods, here's a solution. An interesting side note: the package we received from Amazon was in a box written entirely in Portuguese, although that’s not what you see online. There were no instructions inside the box and since I’m not fluent in Portuguese, I wasn’t able to read the outside of the box. We had to search online to ensure we were following the right process.